UDM Downloads > Bubble Bobble World! 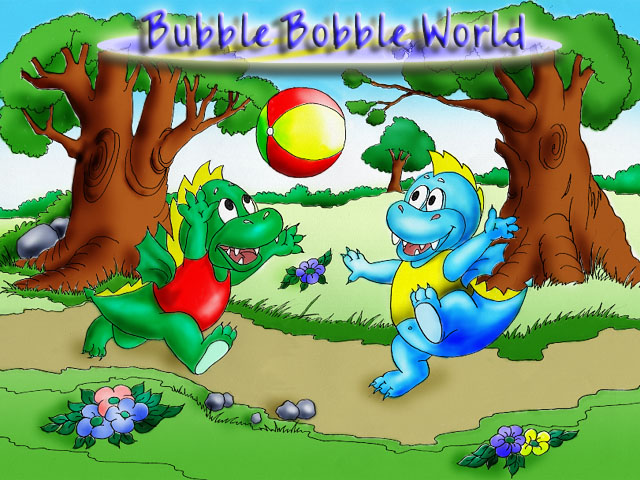 Bubble Bobble World is a remake of a popular classic game Bubble Bobble. You get to play as one of the two little dragons named Bub and Bob. The action takes place in a totally new world filled with cunning and insidious monsters with a mission to cut their journey short. But they have a magic ability to blow bubbles which can entangle their enemies inside of them. Once the enemy is trapped, the bubbles can be easily popped by the little fellows. You are sure to like the state-of-the-art graphics, music and sound. Moreover, there are 10 various monsters with The Dark Dwarf at the top, 100 levels, 120+ new items and bonuses, and a multiplayer mode!